No beating around the bush here with Goldsteins Deli 1,000 Beer Choices instore promise. No vague promises of numerous craft selections or seasonal specialties. The proprietors flat out give you a number … 1.000. 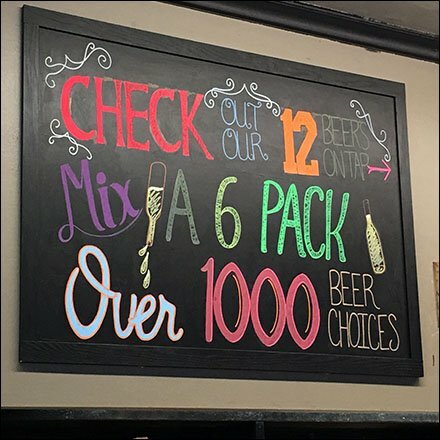 Don’t quite believe in Goldsteins Deli 1,000 Beer Choices? You are welcome to start at one end of the store and count until your prove or disprove their case.